In the not too distance future an ecological disaster has plunged England into a second dark age. Constant rain has caused the crops to fail, famine to spread across the land and an authoritarian regime has risen to power. England is on the brink of disaster. The fox has become the enemy of mankind, with power to contaminate farms, influence the weather, unsettle the mind and kill children. William Bloor has been raised from childhood to be a Foxfinder. His duty is to investigate reports of foxes then eliminate them. 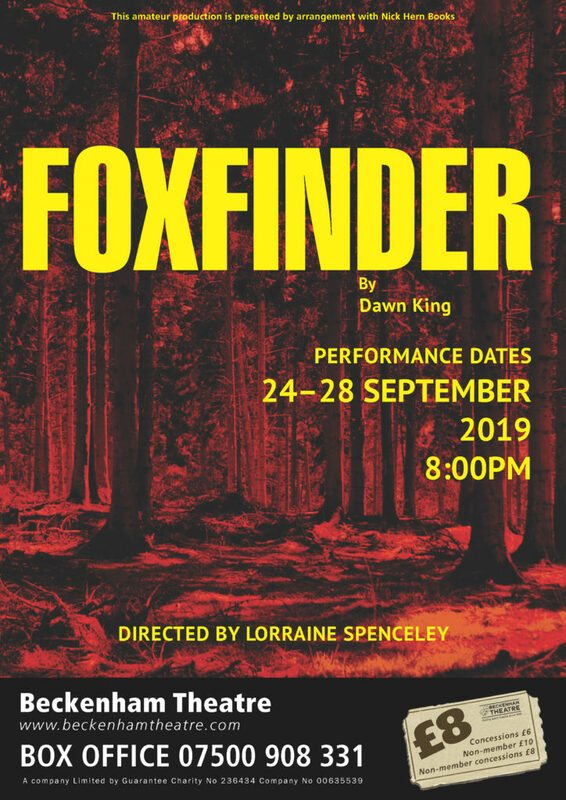 Farming couple, Samuel and Judith Covey, who are grieving the death of their son and worried by failing crops, find themselves under investigation by the Foxfinder. The character ages are approximate; I am willing to be flexible.